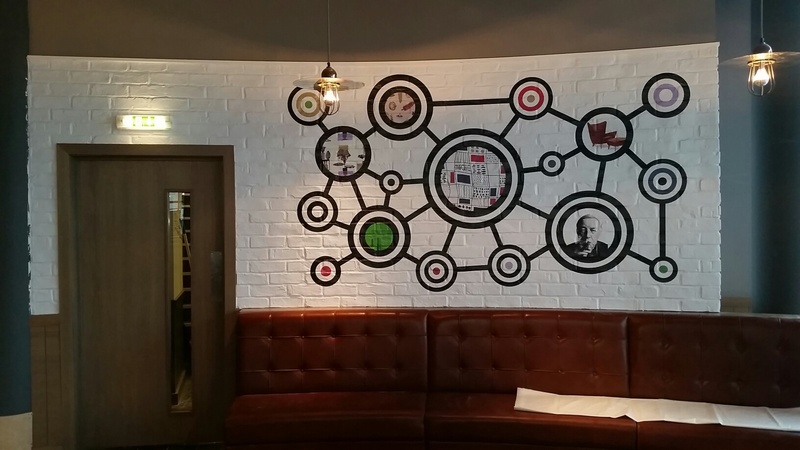 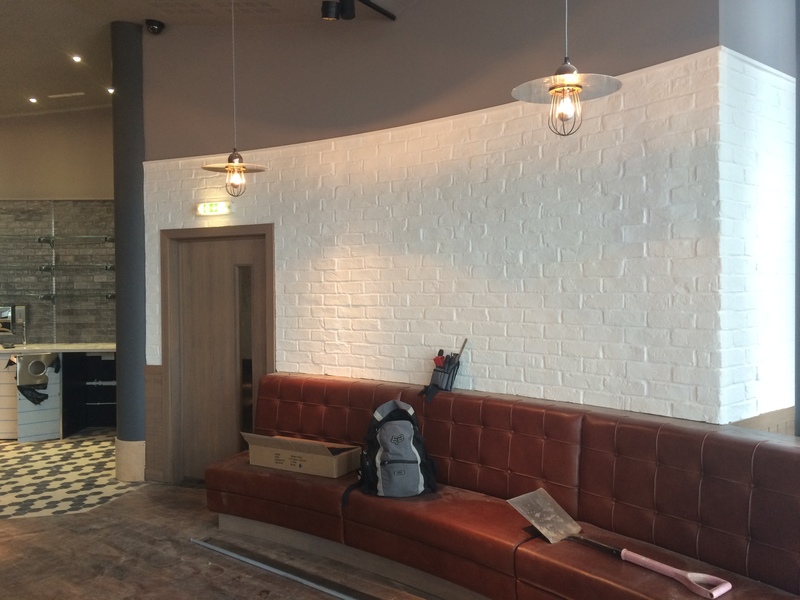 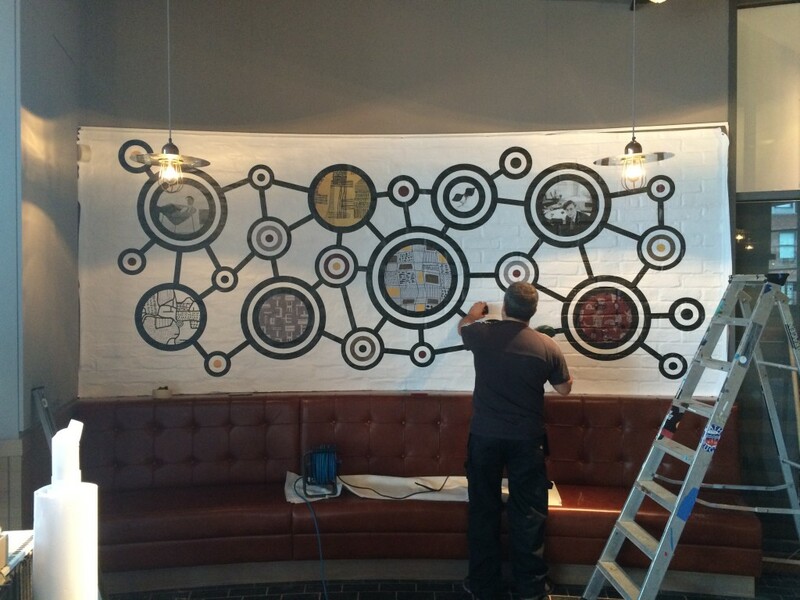 One of our regular clients Pizza Express chose brick-slip vinyl for their feature walls in their Kingston Rotunda restaurant. 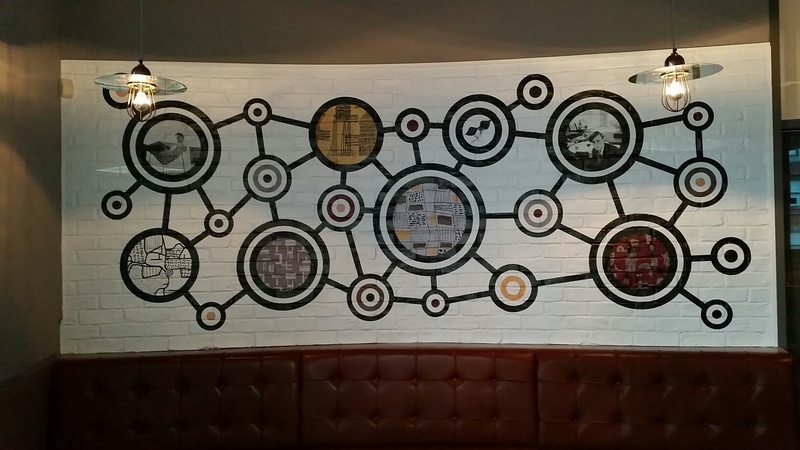 Using WallWrap100 we were able to heat the vinyl and form it into the brick work giving it the appearance of being painted on. 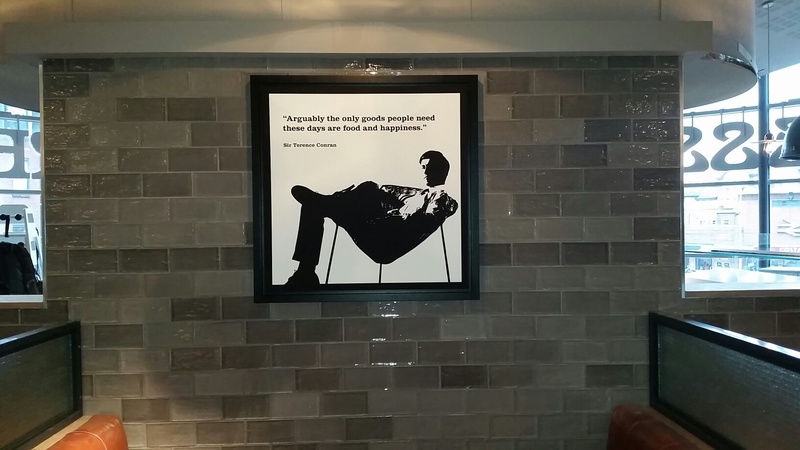 We also installed various framed prints and canvases on staircases and on the main restaurant floor.